Previewed at: Sony Pictures Theatrette, Sydney, on 8 February 2018. 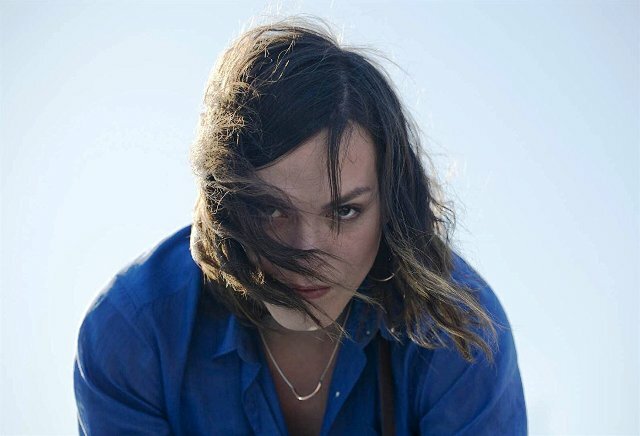 A Fantastic Woman (Una Mujer Fantástica) directed by Sebastián Lelio, is Chile’s nomination, and a finalist, for Best Foreign Language Film at this year’s Academy Awards and has already walked away with both the Teddy Award for Best Film and the Silver Bear for Best Screenplay at the 2017 Berlin International Film Festival. It takes the viewer on a challenging journey depicting the trials and tribulations of a transgender woman, a subject that’s been covered before in films like Ed Wood’s notorious Glen Or Glenda (1953), Neil Jordan’s The Crying Game (1992) and, more recently Tom Hooper’s The Danish Girl (2015). Most, like Lelio’s film, are pleas for tolerance. After a night out on the town celebrating his partner’s birthday, an older man Orlando (Francisco Reyes) returns home with birthday-girl Marina (Daniela Vega), who’s 20 years his junior. When Orlando suddenly falls ill and dies, Marina finds herself not only consumed by the loss of her partner but she also has to face the awful reality of being questioned about the validity of their relationship. Orlando’s estranged wife Sonia (Aline Küppenheim) and his son Bruno (Nicolás Saavedra) view their affection for each other with extreme prejudice and Marina is forbidden from attending Orlando’s funeral. The pair regards their relationship as an aberration and perversion, refusing to acknowledge its validity. Making matters worse, Marina is suspected by the police as being in some way responsible for Orlando’s death and is also threatened with eviction from the flat she shared with him. Once more, Marina finds herself engaged in the on-going battle that she has fought most of her life - the right for acceptance and the right to live comfortably in her own skin - because she was born male.